Cranston Flooring Solutions is a results driven company that has been in business for over 15 years servicing the greater Charlotte area. We look forward to adding you to our growing list of satisfied customers. You work hard for your money and we promise to work hard for you. 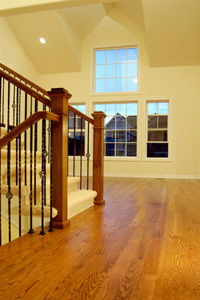 Get the respect and best bang for your buck that you deserve.....Call Cranston Flooring Solutions today! 2500 Distribution St., Charlotte, NC 28203 and is open Monday through Friday from 8am until 5pm and on Saturday from 9am until 12pm. To make an appointment at our showroom please call 704-347-5970 and ask for Angie. For all inquiries you can either call direct at 704-622-9599 or use the form below.